First Resources’ final FY17 core net profit was in line with our expectation but below consensus'. The key surprise is the strong final and special dividend of S$0.055/share, which represents a near-term dividend yield of 3.1%. Final core net profit grew 21% due to higher FFB output and downstream contribution. We cut our earnings forecasts by 12-14% for FY18-19F to reflect higher operating costs and additional tax expenses associated with the special dividend payment. Maintain ADD with a lower target price of S$2.03 (15x CY19F P/E). First Resources’ (FR) FY17 core net profit met our but missed Bloomberg consensus expectations at 99% and 92% of the respective forecasts. After stripping off fair value (FV) losses of biological assets, gains on forex and derivative financial instruments, First Resources’ core net profit rose 21% y-o-y to US$135m. The group announced a final dividend of S$0.0215/share and special dividend of S$0.034/share, bringing FY17 DPS to S$0.068, which exceeded our expectation of S$0.03/share. 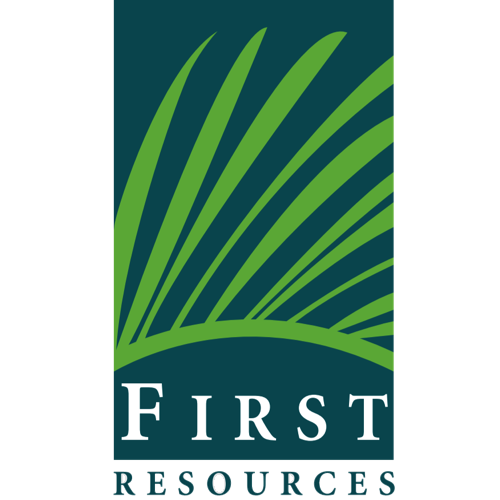 First Resources’ 4Q17 core net profit (excluding forex gains and Fair Value losses of biological assets) fell 23% y-o-y to US$35m as higher processing profit was unable to offset weaker plantation earnings. Plantation earnings fell 33% y-o-y in 4Q due mainly to lower CPO and PK prices achieved. Its refinery and processing division turned around to report US$5m profit in 4Q17 from a loss of US$8m due to better processing margin of US$18 per tonne. Plantation EBITDA grew 6% y-o-y in FY17, due mainly to higher CPO selling prices and FFB output. ASP achieved for CPO grew 2.7% to US$603 per tonne. FFB production from its nucleus estates rose 13% y-o-y in FY17, representing a new record high output for First Resources, due to a rise in mature areas and higher FFB yield as El Nino effects waned. CPO sales volumes grew 10.5% q-o-q to 207,266 tonnes in 4Q, higher than the group’s CPO output of 203,383 tonnes for the quarter. This was due to a net inventory drawdown of 14,000 tonnes of palm products in 4Q17 (4Q16 : build-up of 28,000 tonnes). First Resources declared a special dividend of S$0.034 to commemorate the 10th anniversary of its listing and the 25-year anniversary of its establishment. The special dividend is a one-off and will attract higher withholding tax expenses for the company on dividend income received from foreign subsidiaries. This will most likely be recognised in 2Q18F. The group is targeting FFB output growth of 10-15% for 2018, driven by improving yields and new mature area of 16k ha. It plans to plant 3,000-4000 ha of new oil palm estates and replant 800 ha of old estates. It guided for average cash costs of production of US$200-220 per tonne for 2018, broadly in line with FY17’s achievement of US$217 per tonne. It is continuous exploring potential M&A to expand its upstream operations. We cut our FY18-19F earnings forecasts by 12-14% to reflect higher operating expenses and effective tax rate. This has led us to cut our target price to S$2.03 (based on 5-year historical P/E of 15x vs. 13x, previously). We maintain our ADD call due to the group’s estates’ young age profile. Potential re-rating catalysts are better-than-expected production and earnings. Key risks are lower CPO prices and production.